A Belize City resident claimed in court that he lost it and threw himself into a police door at the Raccoon Police station to break it and escape because police were conspiring to kill him. 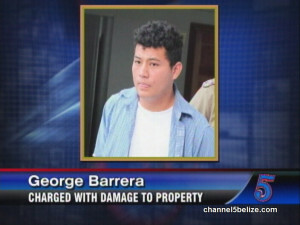 But that cost George Barrera a grand in fines. The teenager was charged with four charges on Tuesday and today he was arraigned for one more. He pleaded not guilty to the first four charges and was granted bail in the sum of one thousand dollars. But immediately after meeting bail, he was back in court for damage to the door at the station. He pleaded guilty to that offense and a total of one thousand dollars in fines were imposed on him. 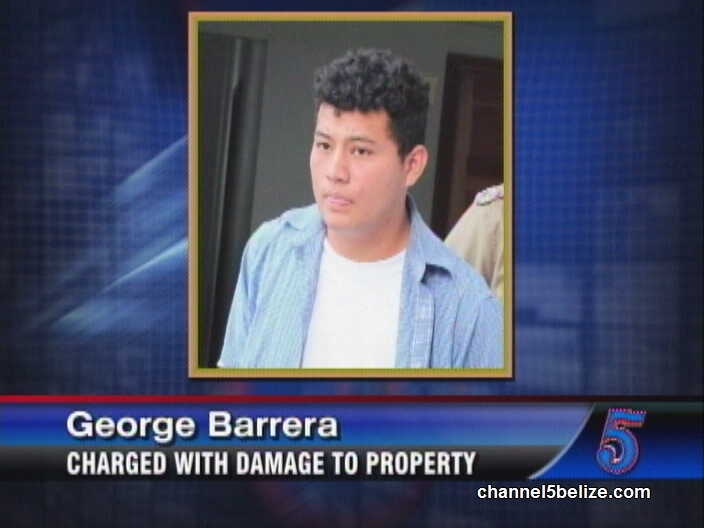 Barrera was apprehended in the area of Radisson Fort George by the police who found him acting suspicious. He was escorted to the Queen Street Police Station and then to Raccoon Street Station and this is where he acted out and fled when he was told to sign a form. But his freedom was short lived as police caught up with him.